Cannabis has been making a lot of noise lately. Multiple states across the United States and countries around the world have successfully legalized medical Marijuana, and the Uruguay parliament recently voted to create the world’s first legal marijuana market. This is good news as the health benefits of Cannabis are vast, with multiple medical and scientific studies that confirm them. On the other hand, arguments against the use of marijuana is usually published in Psychiatric journals, which show no scientific evidence that Cannabis is harmful to human health. All psychological evaluations from the intake of cannabis are largely based on assumptions, suggestions and observations (1). When we look at the actual science behind Cannabis, the health benefits can be overwhelming. 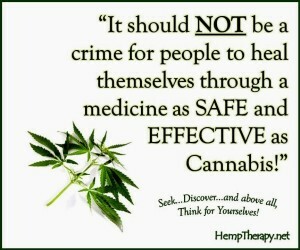 So what does one who opposes the use of cannabis base their belief on? Nothing, not scientific evidence anyways. The negative stigmatism attached to marijuana is due to it’s supposed psychotropic effects, yet again, there is no scientific evidence to show that marijuana has any psychotropic effects. Nonetheless, cannabis has recently been the focus of medical research and considered as a potential therapeutic treatment and cure for cancer.